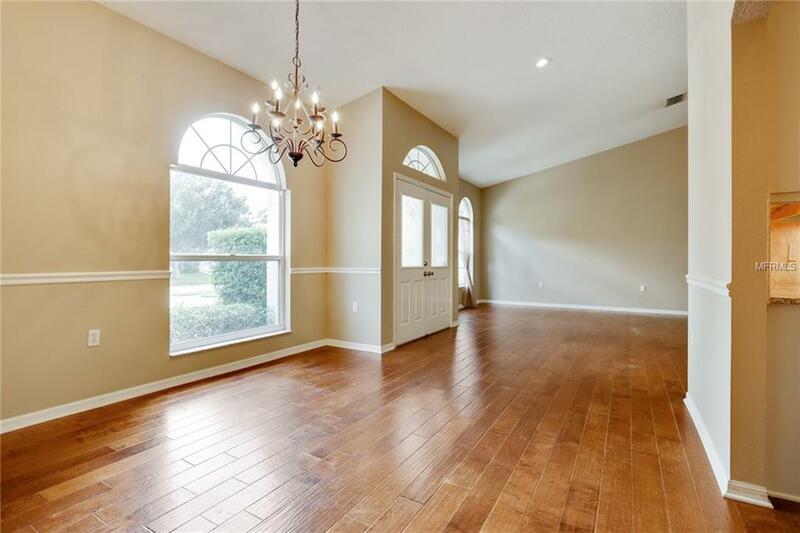 This beautiful Arbor Greene home features a new roof, a two year old AC unit, 4 bedrooms, 3 full baths, a 2 car garage, and 2298 heated square feet with a back yard that is completely fenced and overlooks conservation. 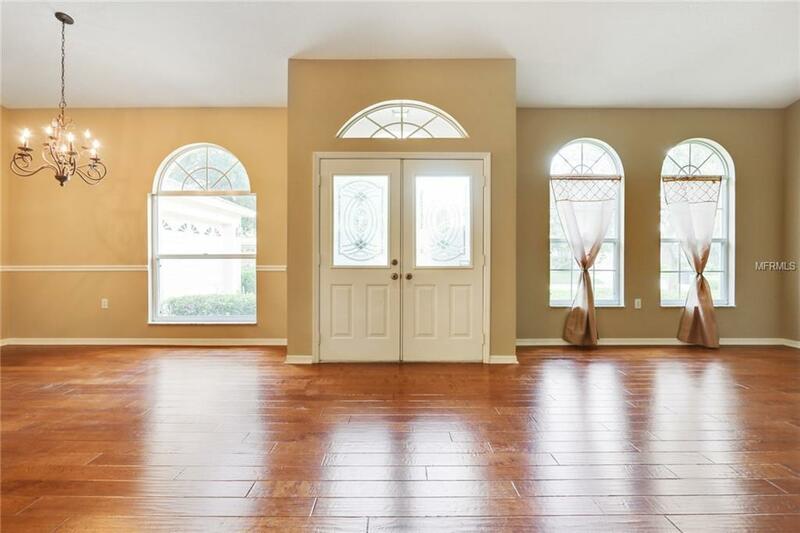 Glass leaded double doors greet you at entry. 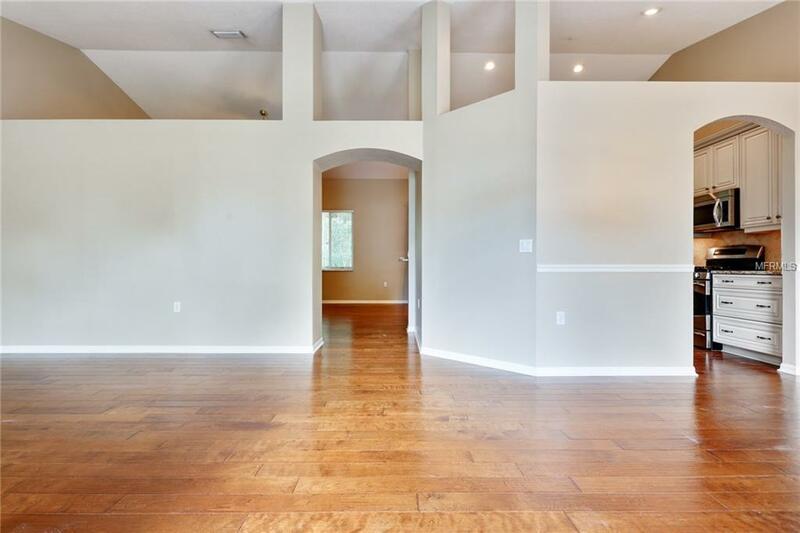 The The main living areas have gorgeous wood floors and window treatments as well as recessed lighting . The kitchen was recently remodeled and has a great eat-in space with decorative chandelier, slider to lanai, breakfast bar, drop stainless steel sink, upgraded sink fixtures, 42 antique white cabinets, granite counters, soft close and pull out drawers in cabinets, spice rack, stainless steel appliances, side by side refrigerator with bottom freezer, large pantry, GE Profile gas stove, recessed lights, tiled floor and recessed lights. 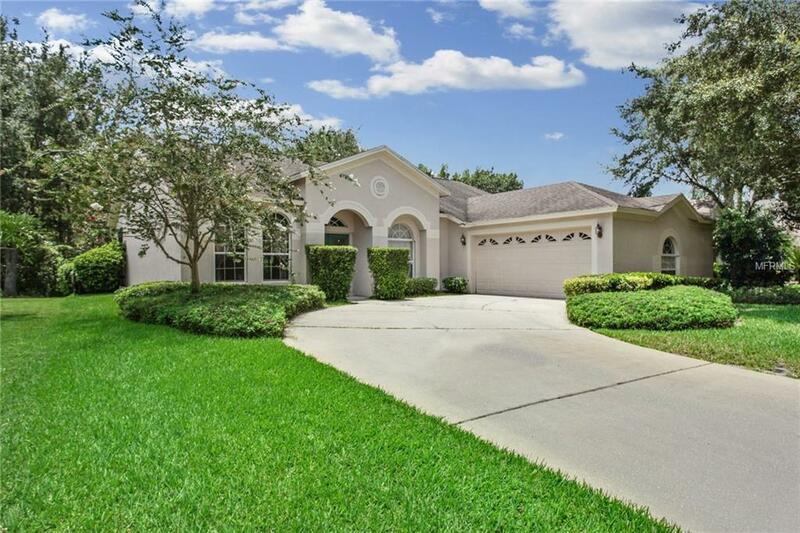 This home is located in Arbor Greene, a 595+ acre enclave of scenic nature trails, walking paths around 90 acres of scenic lakes, 11 parks with play equipment, and a two million dollar aquatic, tennis and fitness center.